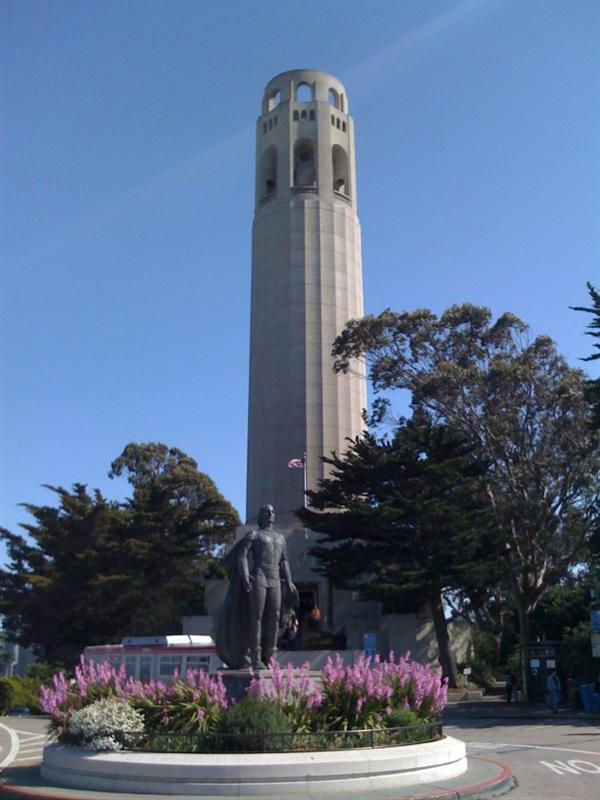 Coit Tower (officially known as the Lillian Coit Memorial Tower) is a 210 feet high tower located in Pioneer Park, atop Telegraph Hill. 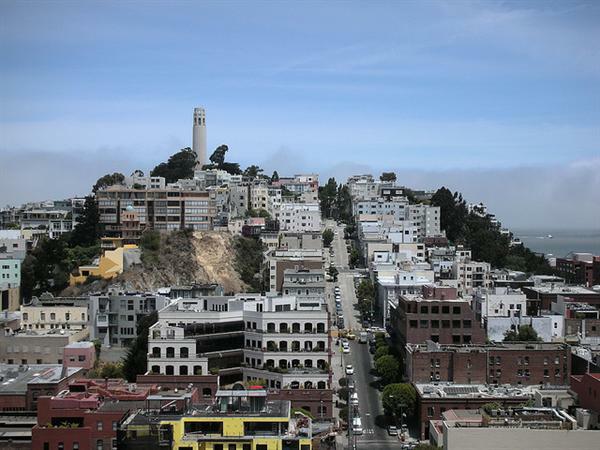 Pioneer Park is a 4.89-acre park that once housed the first telegraph line in California in 1853 and so the hill is called Telegraph Hill. 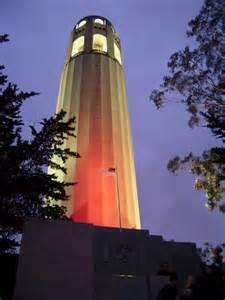 Coit Tower was built in 1933 and is named after Lillie Hitchcock Coit who left one-third of her estate to the city for civic beautification. 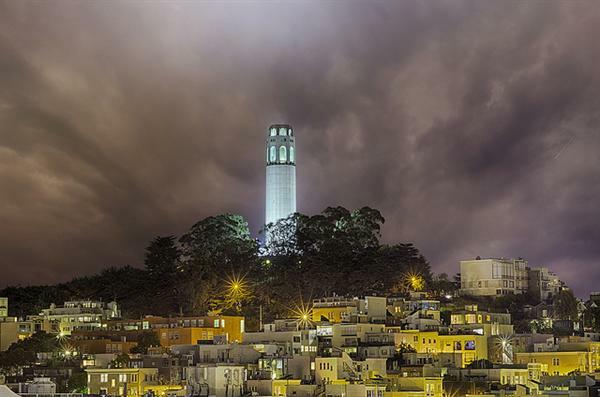 It is added to the National Register of Historic Places. 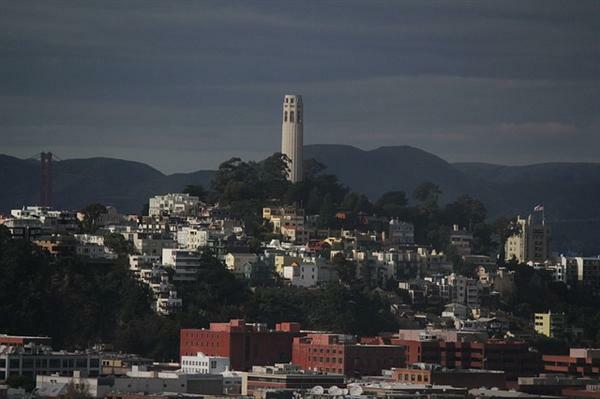 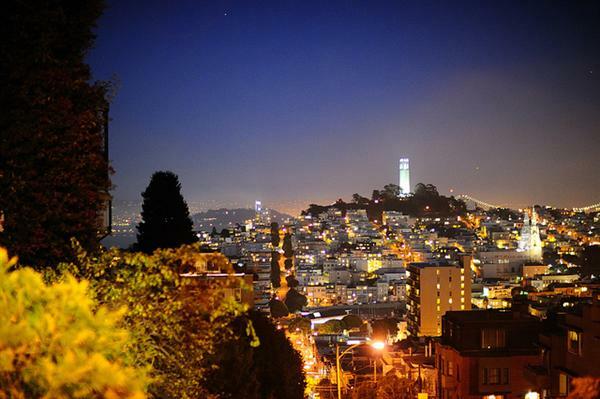 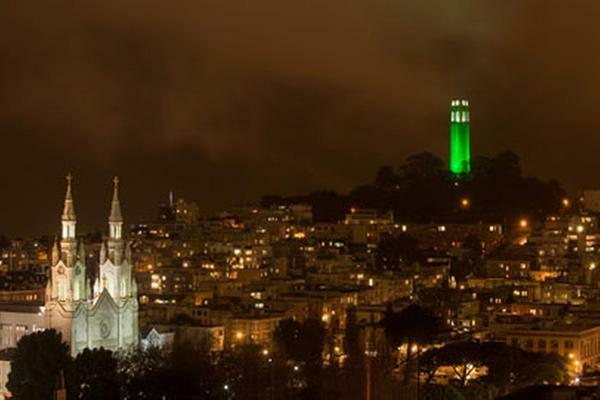 The Tower's location and height allows 360 degree views of San Francisco. 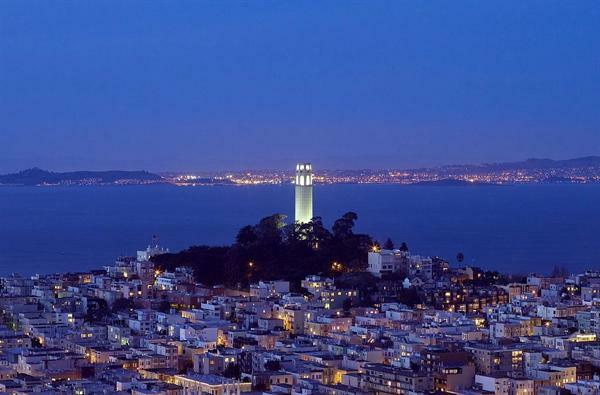 Spectacular views can be enjoyed from the striking Coit Tower including the Alcatraz, Angel Island, Golden Gate Bridge, the San Francisco Maritime National Historical Park, Treasure Island, the Bay Bridge, Russian Hill, Lombard Street, Nob Hill, and the Financial District.